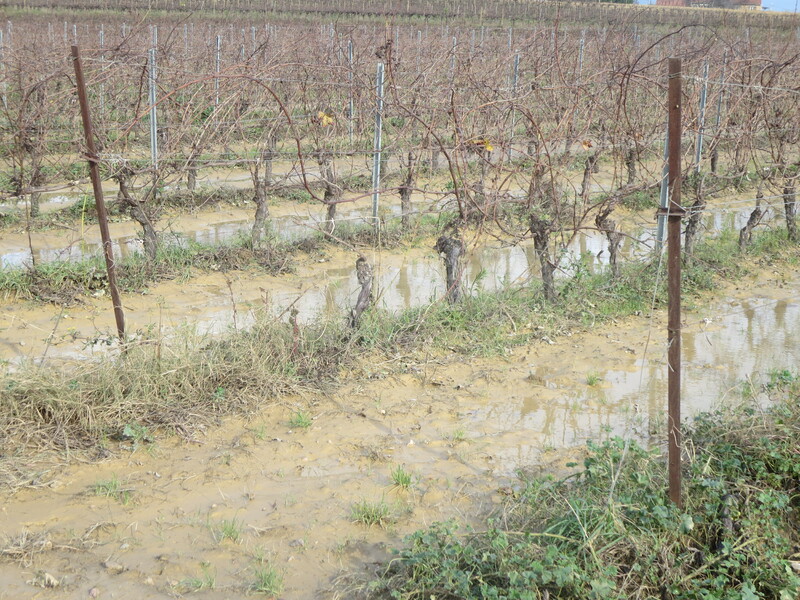 The Languedoc Roussillon region was struck by huge storms on November 28th. Lightning and thunder which lasted almost a whole day, torrential rain all day (over 210mm at Bédarieux), hail for half an hour, winds well over 100kph. Even local people were surprised by the storm. There are some scary pictures on Midi Libre. 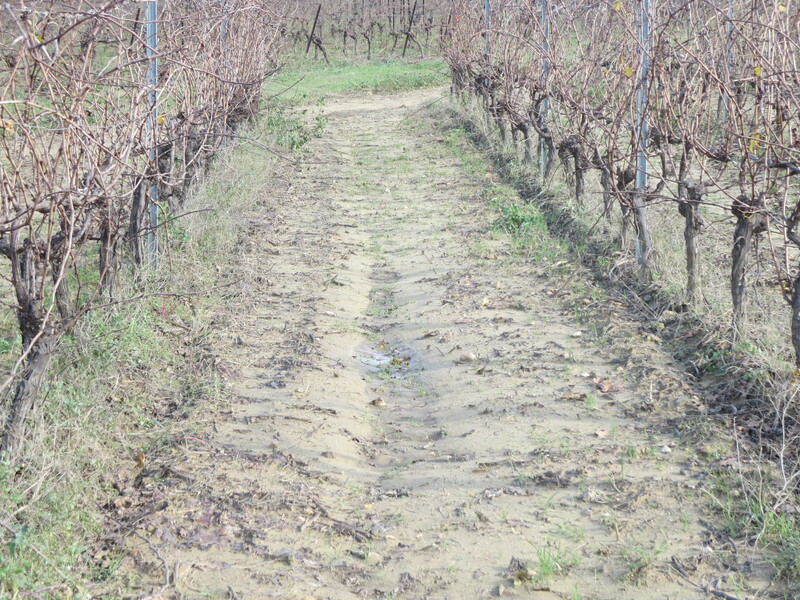 A walk around Margon, our home village, 3 days later showed that many vineyards had been damaged. 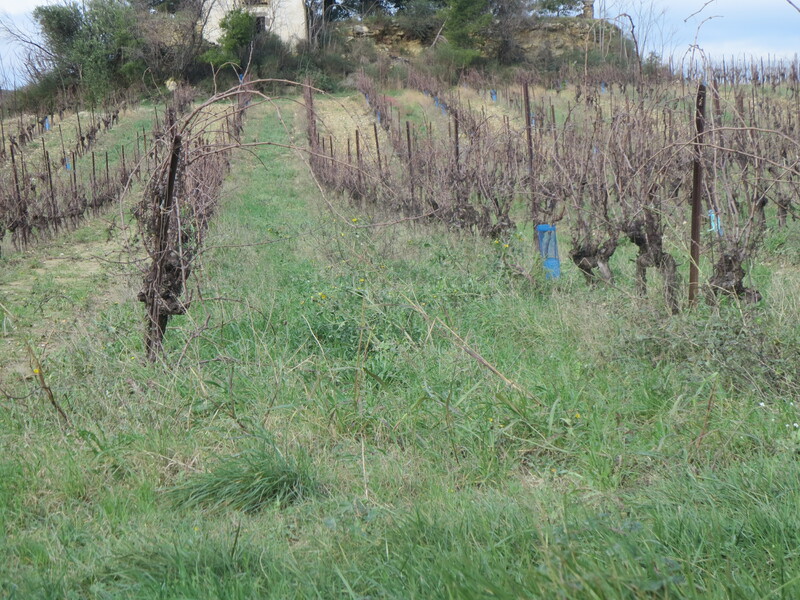 At this time of the year the vines themselves are not so vulnerable of course, there are no grapes left on there. 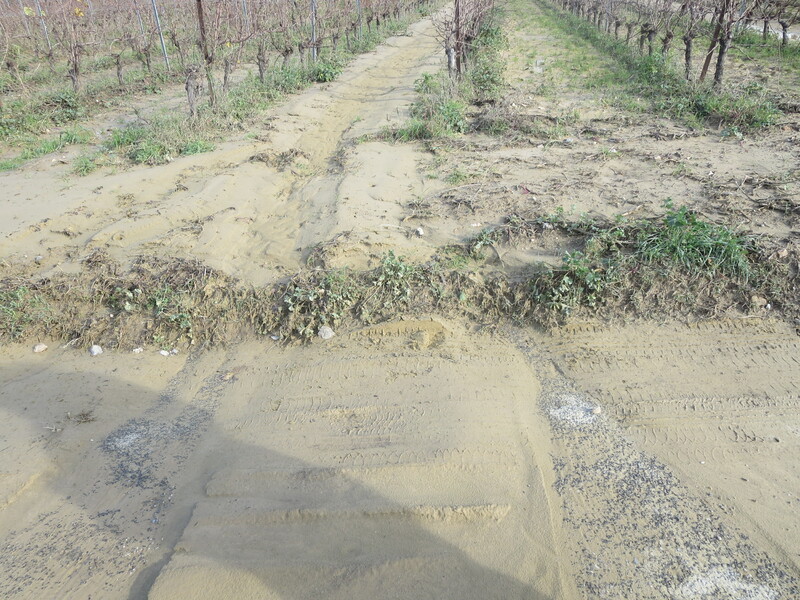 However, the soils themselves were damaged in many places by erosion. Much of our area has clay soils which are not the easiest to drain. However, many modern agricultural practices exacerbate this problem. 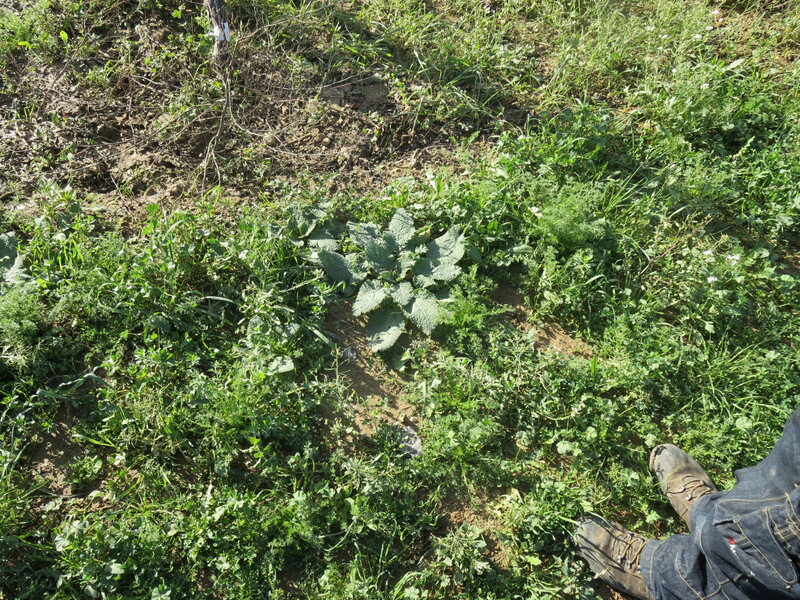 Using heavy machinery such as tractors, harvesting machines and large sprayers means that the soils become compacted and, therefore, even more impermeable (photo 2). Inappropriate use of herbicides and weed killers to get rid of grass and other plants means that the soil has nothing to bind it together and, consequently, heavy rain will cause erosion as we see in photo 1. Overploughing will combine both problems. 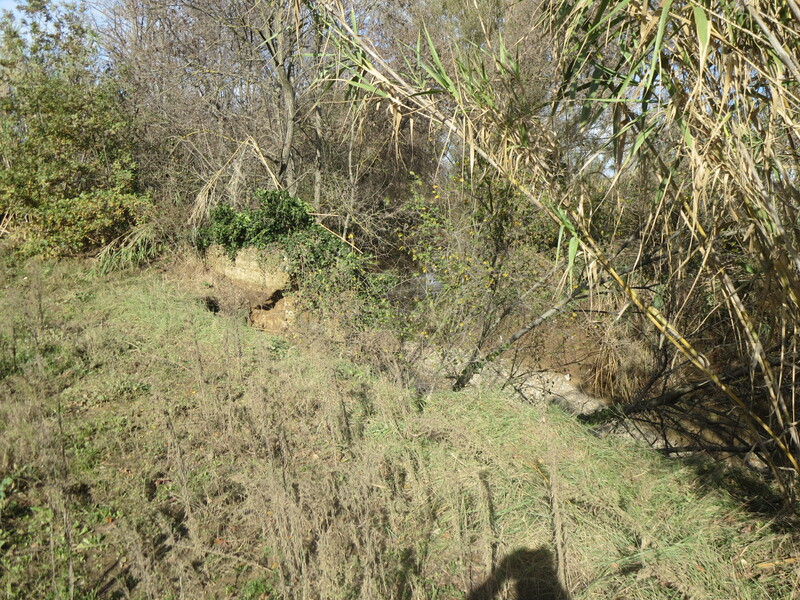 The photos above show how two parcels of vines just metres apart responded to the storms. The difference is obvious. 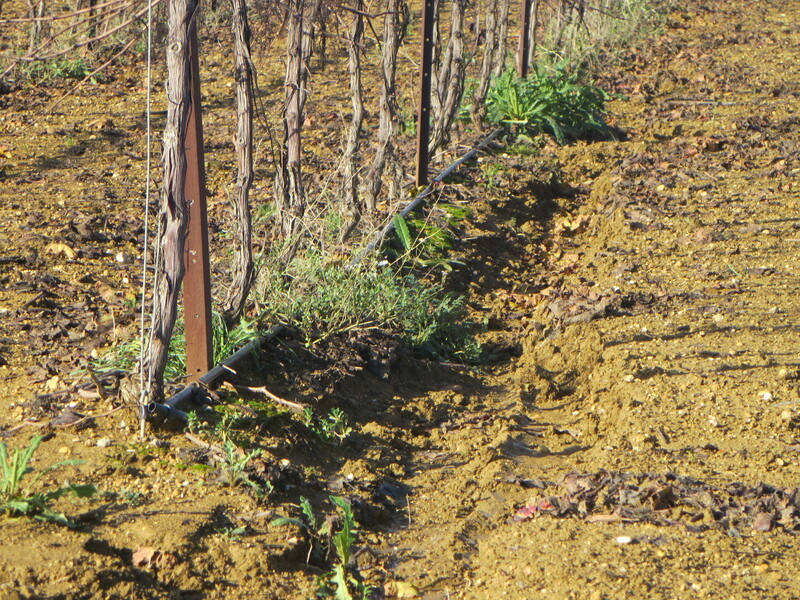 Vines with shallow roots do not access the deeper minerals and ecosystem. 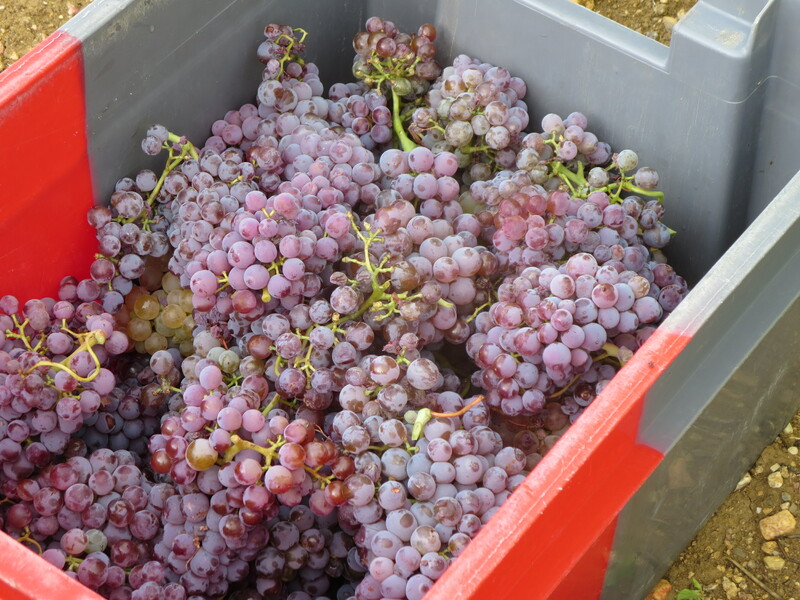 The roots also overheat being nearer to the surface and this can mean that they shut down some of their work and grapes will not ripen so well or evenly. 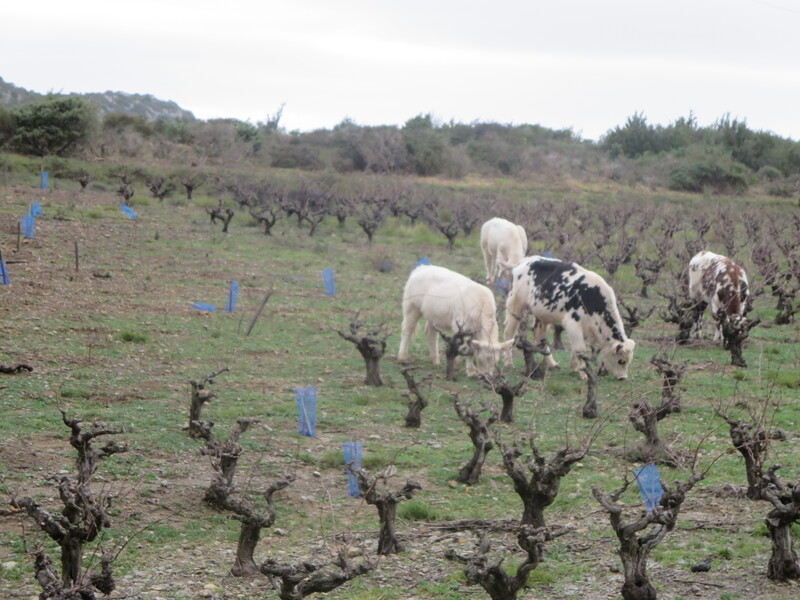 Yet there are vignerons in the area who have installed or are installing irrigation. This can only compound the problem in a region where there are occasional droughts but not on the scale of Australia for example. Jeff Coutelou reported to me that there had been no erosion in his vines unlike those of some of his neighbours, the reason may be seen in the photos below. 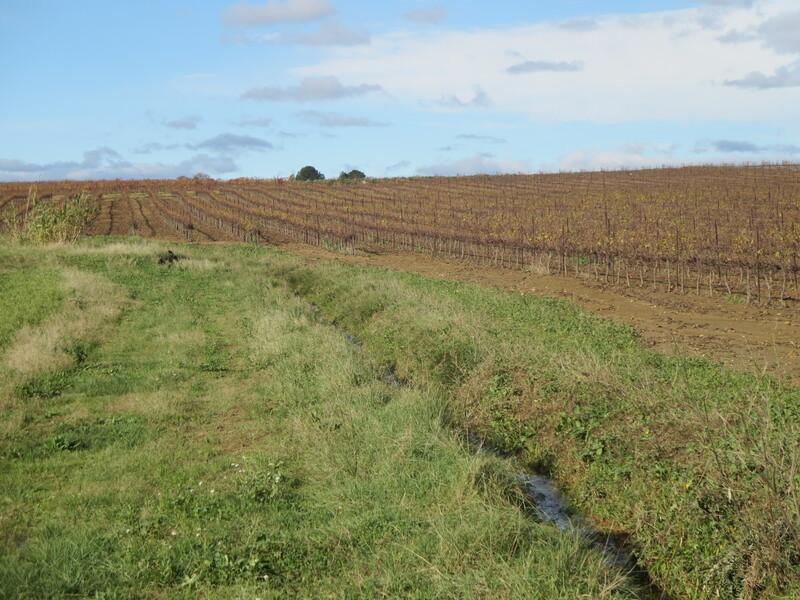 Irrigation pipes run along the vines. 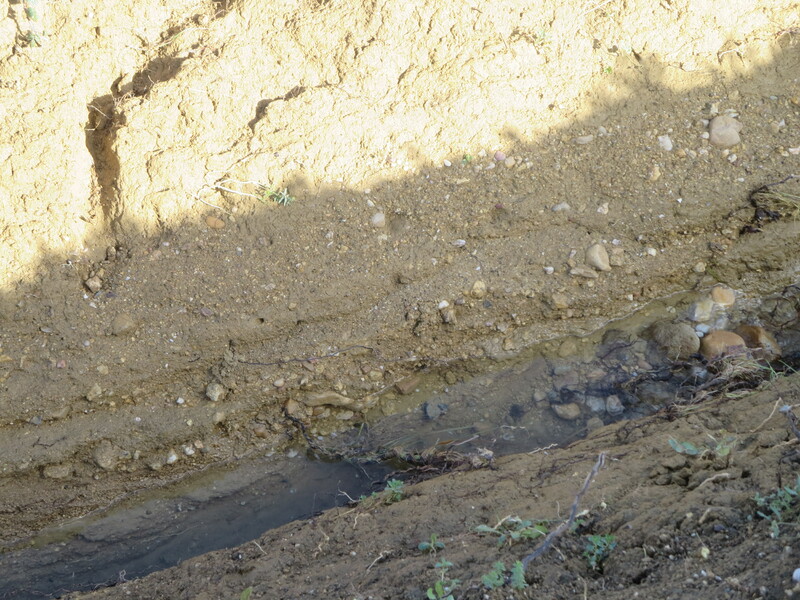 Look closely at the channel which has been cut into the soil by the rain. 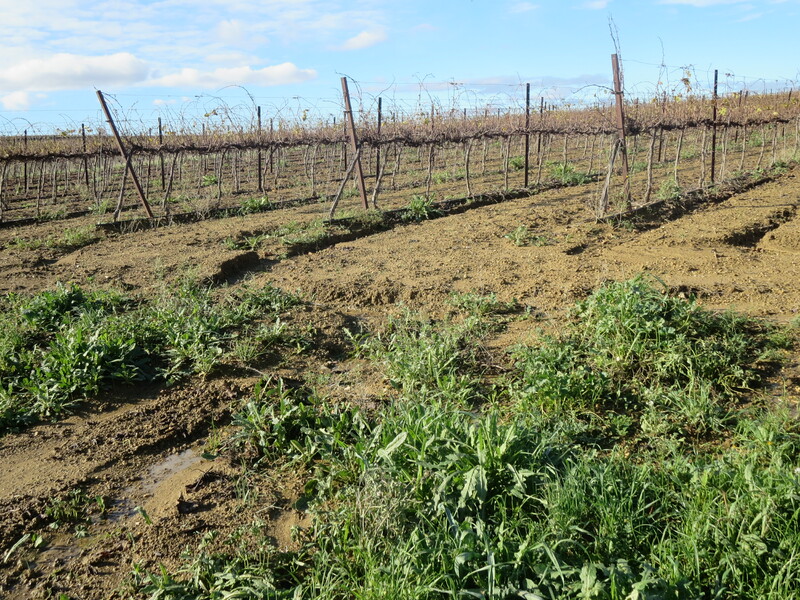 Biodiversity – analysis showed over 30 types of grass in one square metre of Jeff’s vineyard. 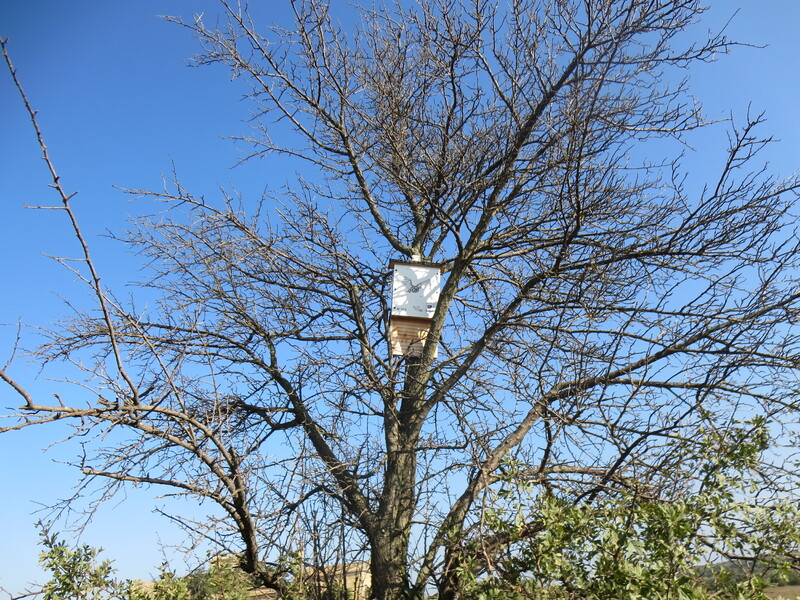 One sad casualty of the storms was the tree with a bat shelter installed by Jeff. Bats are good friend to vines as they eat many insects which might damage them or their grapes. Encouraging them and other friendly wildife, such as wagtails and hoopoes, helps to keep the grapes in good health. 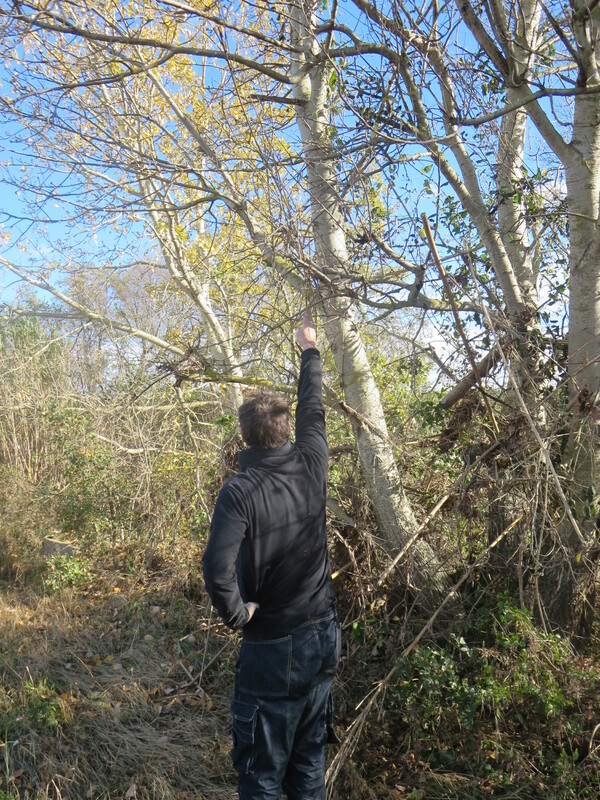 Unfortunately the tree, which was dead, was uprooted and so a new bat home will be established soon. And finally how to control that grass and plant life? Ploughing or working the soil is needed at times but there are some novel alternatives. At Mas Gabriel a local farmer brings his sheep into the vineyard at this time of year. And then, as I was driving to Cabrieres the other day I came across this. Being in the vines is always interesting! 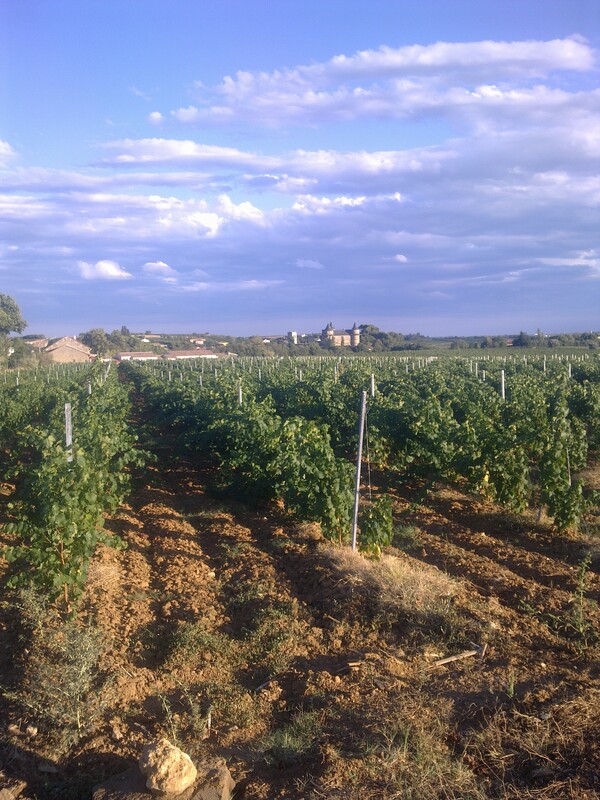 Categories: Uncategorized, Vignerons, Vines | Tags: argile, Bourguignon, clay, ecosystem, grass, herbicides, Languedoc, Margon, minerals, roots, Roussillon, soils, storms | Permalink. 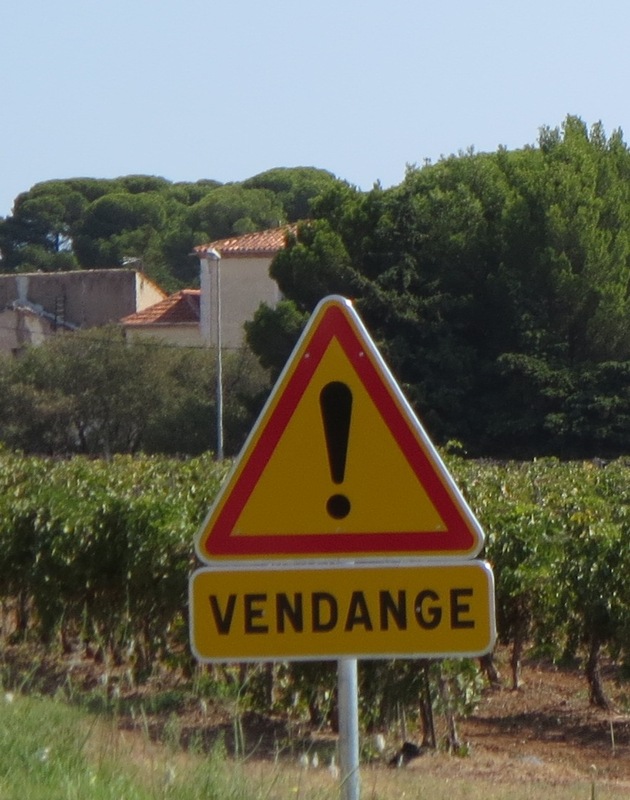 It has been a stormy week in the Languedoc and the weather has certainly disrupted the plans of vignerons in the region. 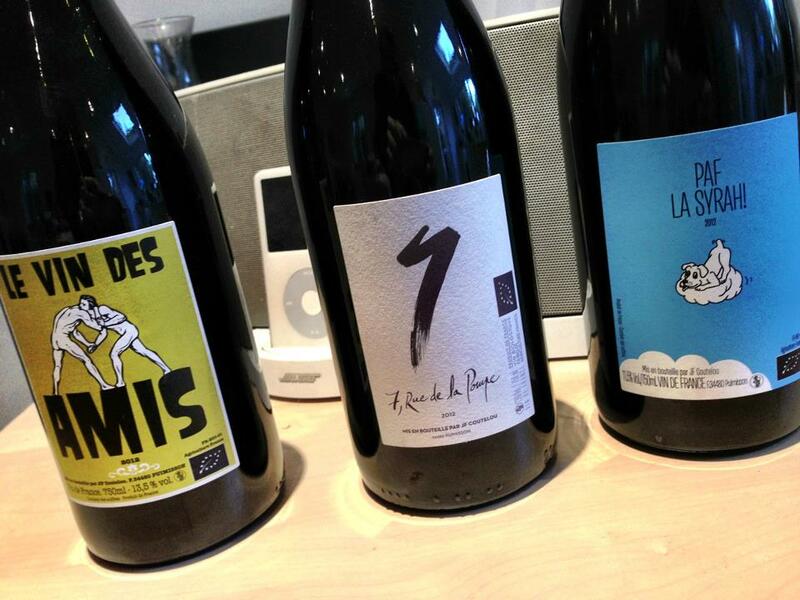 Tragically five people were killed in a flood in Lamalou Les Bains and that event puts winemaking into perspective. 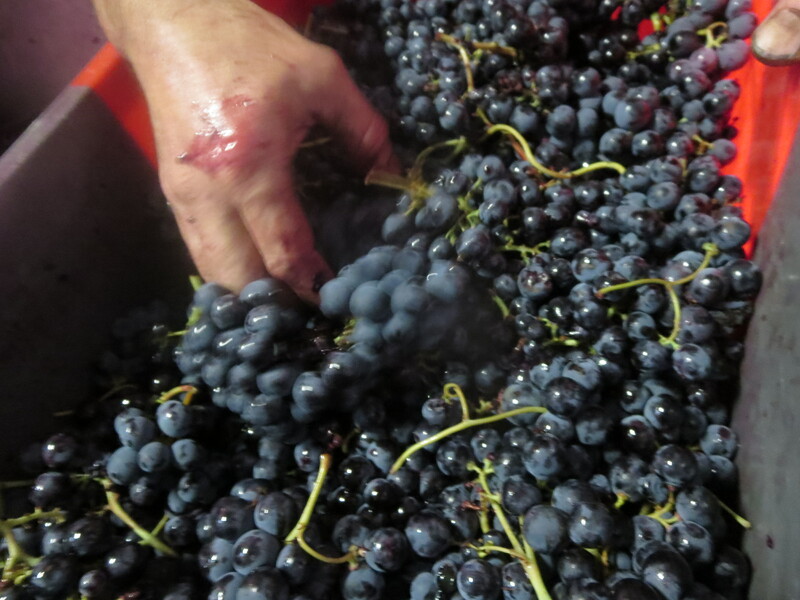 However, the fortunes of wine growers and makers have also been hit by such extreme weather. 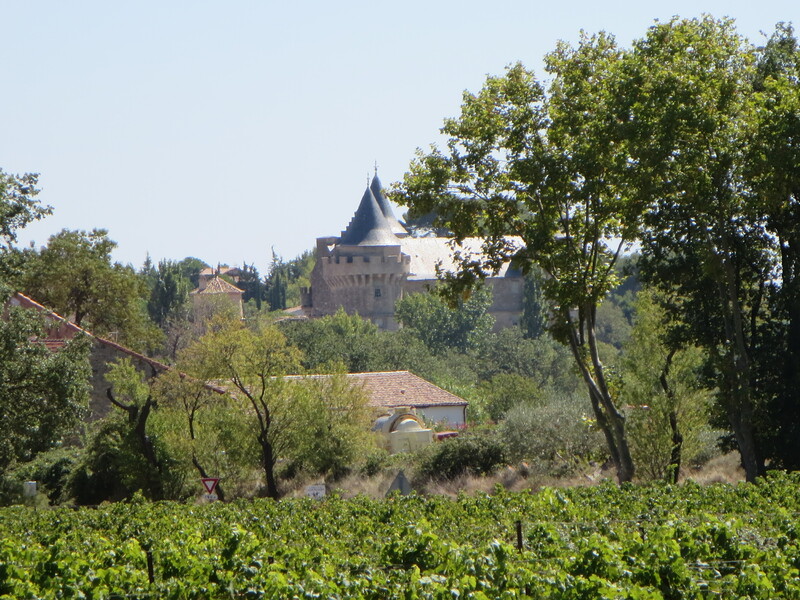 Driving past Pézenas up the A75 on Thursday swathes of vineyards were under water on the low lying plains. 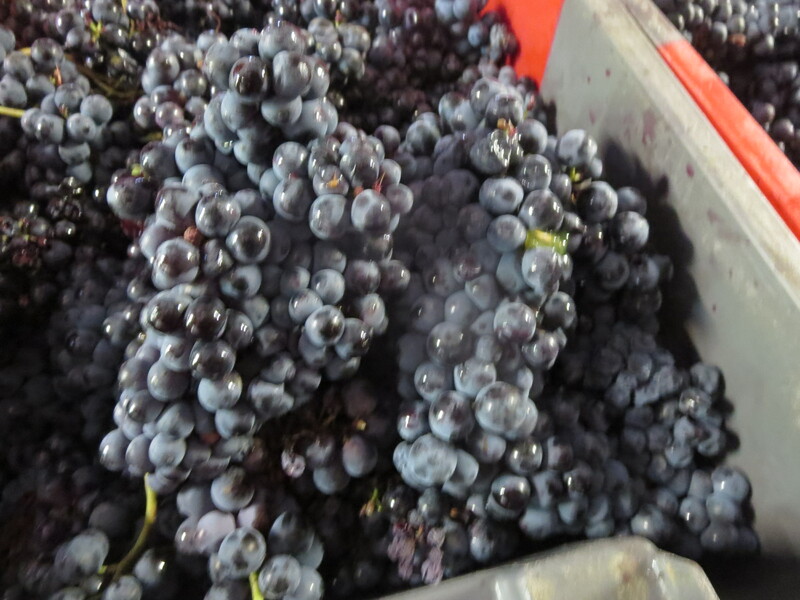 The humidity also means that where grapes are left to pick there is a real risk of disease and even rot. 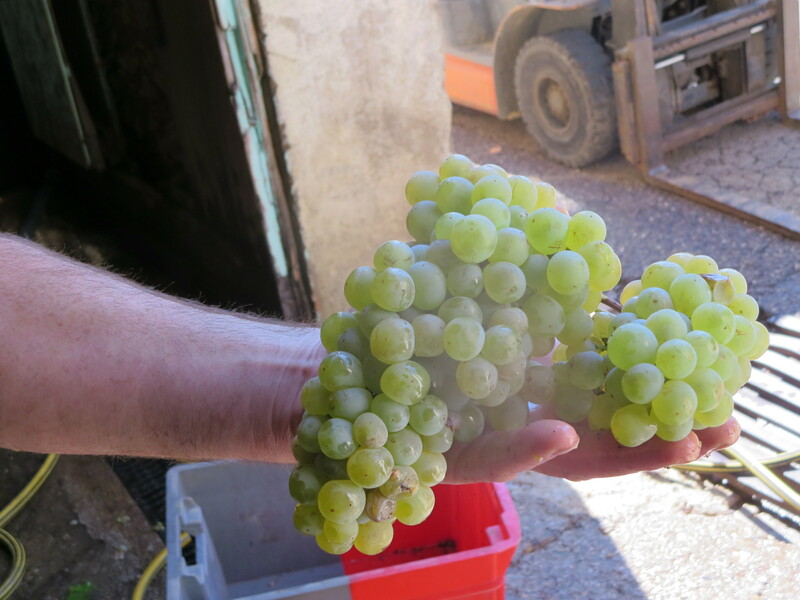 I was talking to the excellent winemaker Emmanuel Pageot this morning as we visited Gabian for the jour patrimoine and he was explaining how complicated such problems have made the harvest. I was invited to join Emmanuel for a tasting soon and I will definitely report here on his latest wines. They are amongst my favourite wines of the region but I shall try to be objective. 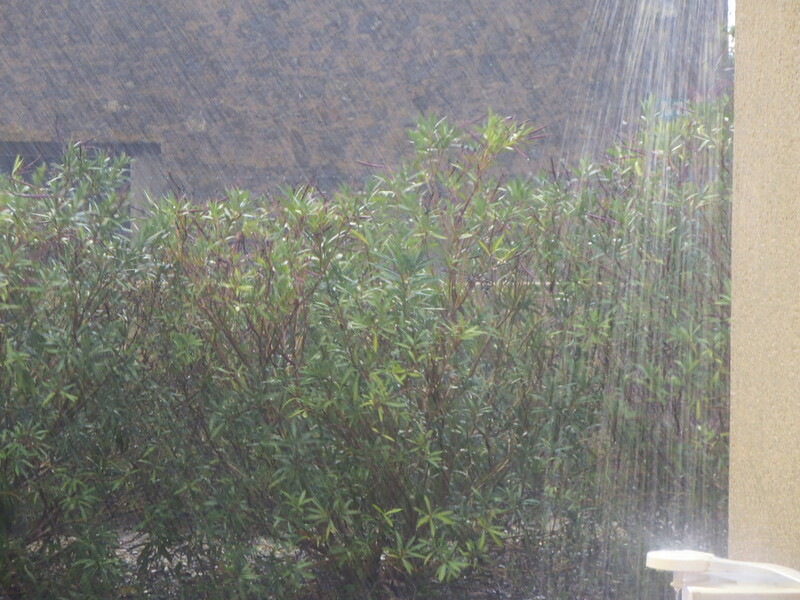 In Margon Wednesday saw thunder and lightning and sheets of rain non stop through the day. 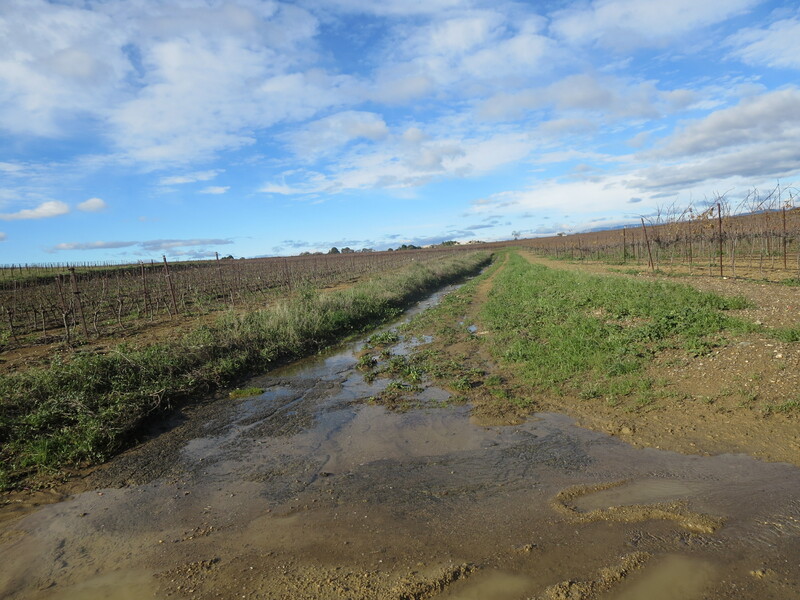 Yet, in Puimisson, where Jeff lives and has his vineyards there was only a small rainfall, a reflection of the dry year there which has caused the smaller harvest. 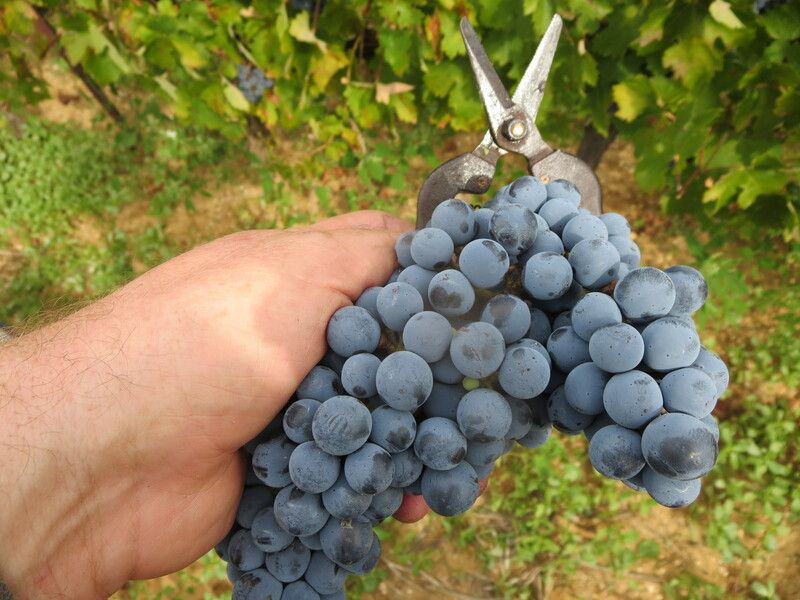 Normally Jeff would harvest 200-250 hectolitres from his 4 hectares of Syrah grapes, this year that production is down to 145 hectolitres. This means less wine, of course, and also a lot more thinking on his feet as smaller quantities mean that he has to decide which of his wines he uses the grapes for. 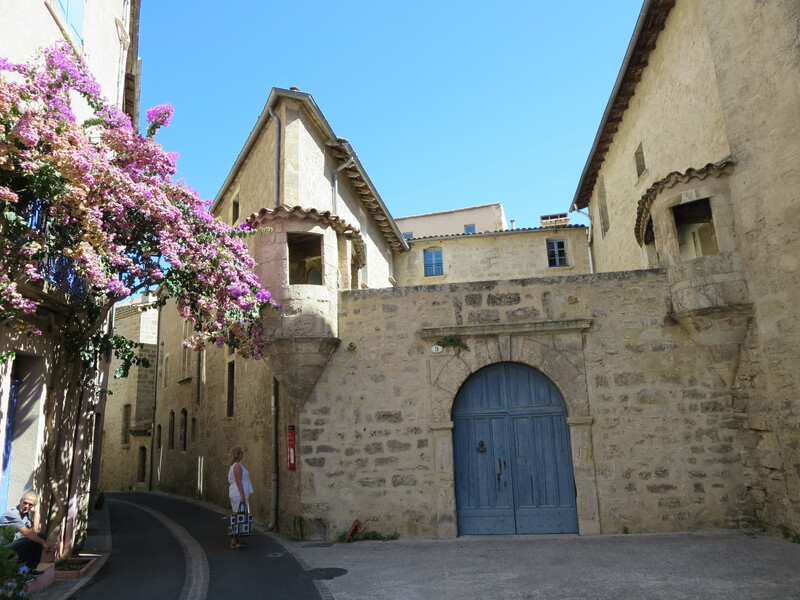 Therefore it seems unlikely that there will a cuvée of 7, Rue De la Pompe this year as the grapes are needed for other cuvées. 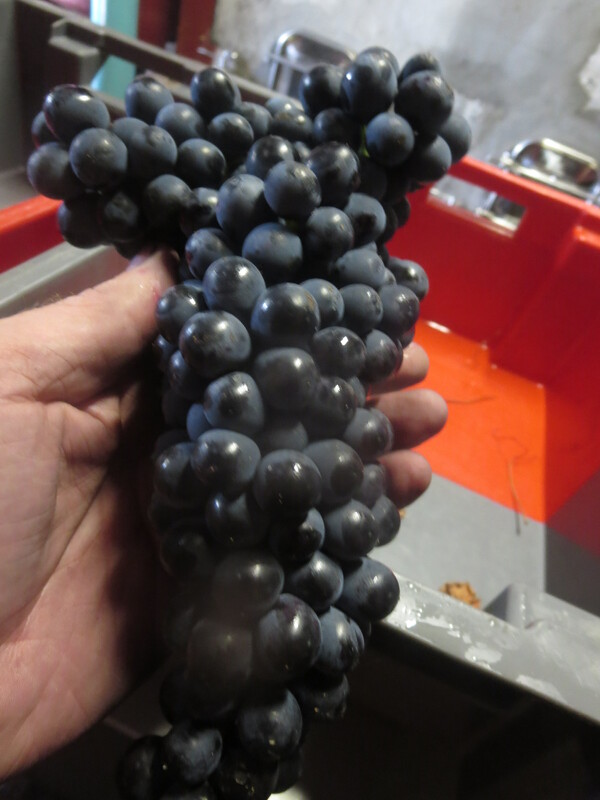 The quality of grapes is high though, for example the Syrah which is going into the Paf cuvée is concentrated and finer, partly due to a miserly production of only 25 hl per hectare. 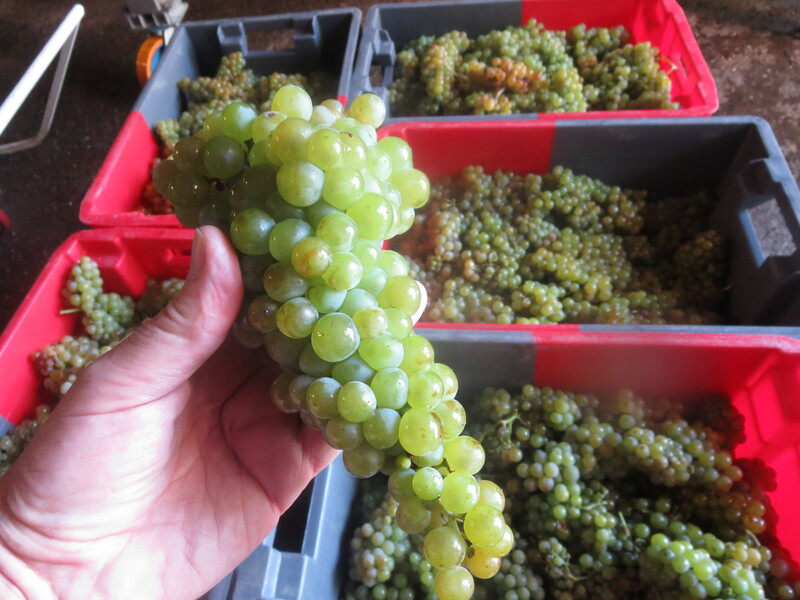 Other grapes have been small in size and so because there is a lot of skin and pips compared to juice the wine needs to be blended with other fuller grapes. Jeff is also thinking of introducing new cuvées to use what he has. 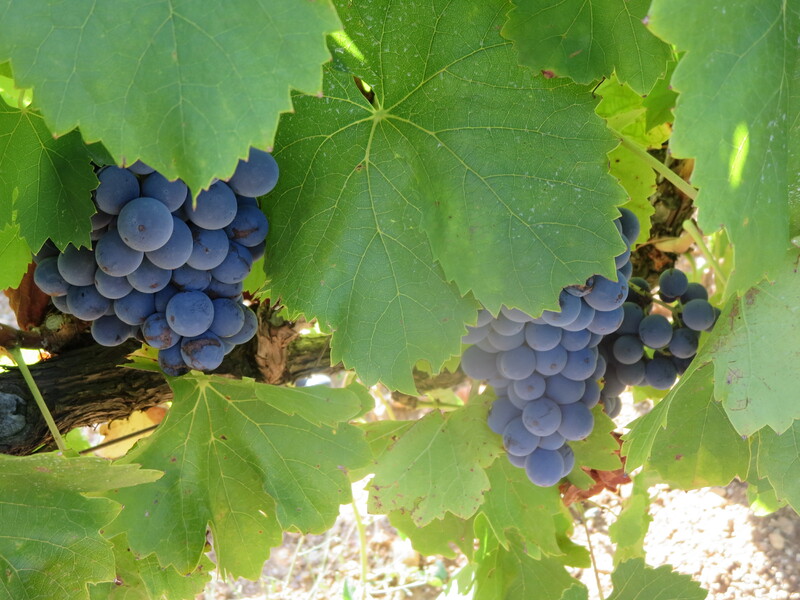 Cinsault, for example, has done well this year so offers new possibilities and there is also the possibility of producing a cuvée which Jeff’s father used to make. 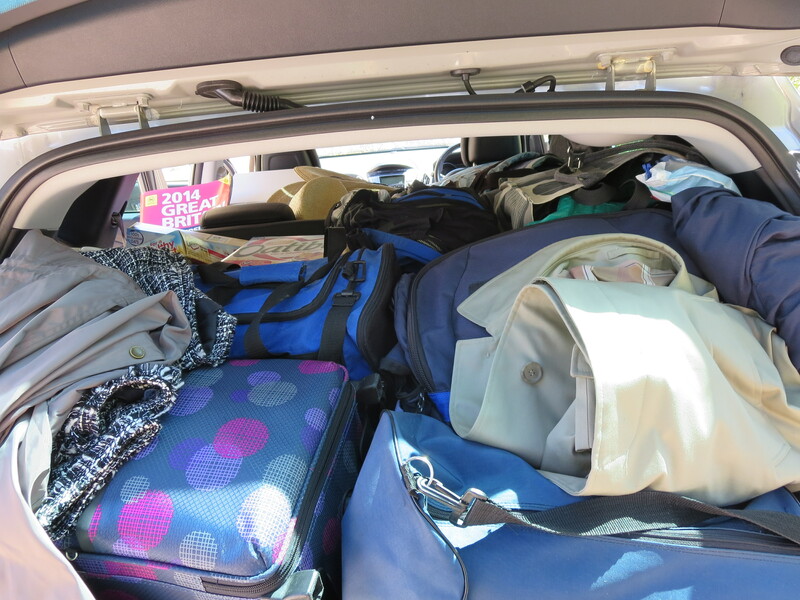 I will write more about that as the year develops and decisions are finalised. As picking was on hold at some points due to the weather Tuesday lunch was more leisurely and Jeff had more time to relax and talk. He recounted a French fairy story The Chaud Doudou. 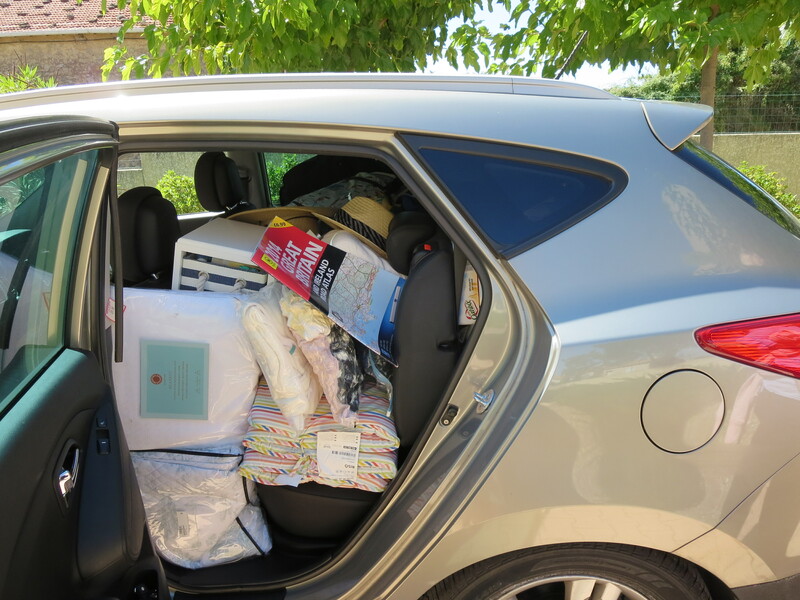 Basically it is about sharing and how everyone feels better for having done so. Jeff went on to share an Occitan proverb which translated means “What you give flourishes, what you keep to yourself perishes” and I think this sums up Jeff Coutelou’s wines, he shares his skills and his passion for the land and for nature. 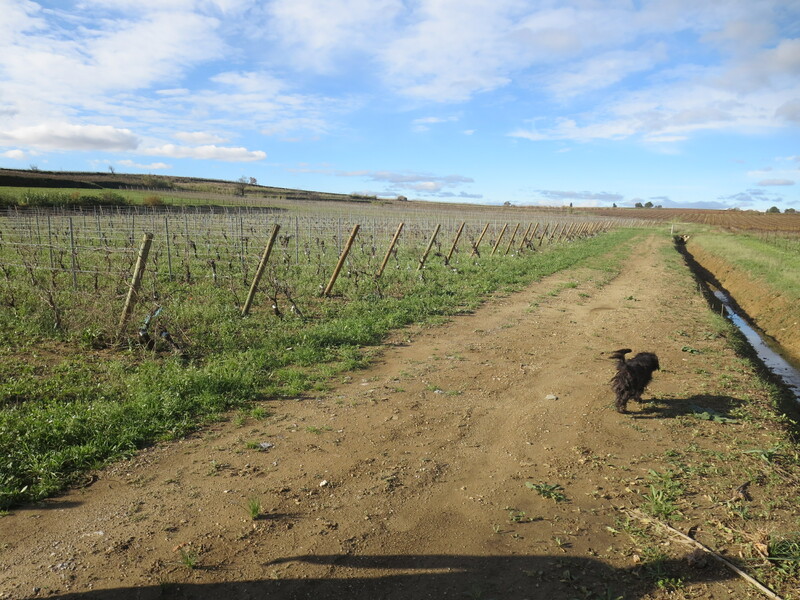 The title of this post are the words he uses to describe his winemaking philosophy; grapes, work and love. To produce such high quality wines he needs the best grapes, he works tirelessly and he instills endless love into the wines he produces. If you think that sounds far fetched then try some, he is telling the truth. Categories: Vignerons, Vines, Wines | Tags: Cinsault, Languedoc, Margon, Pageot, Puimisson, Syrah | Permalink. Be warned the next post means harvest is back!! 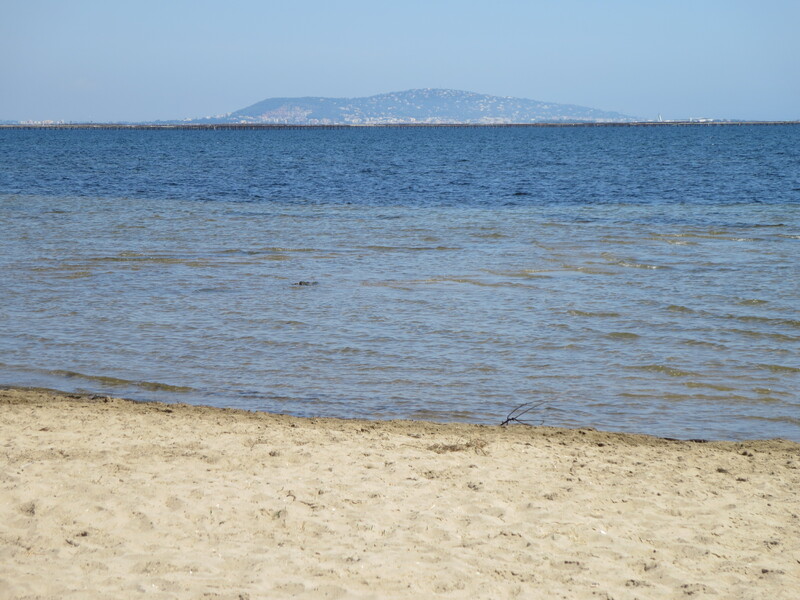 Categories: General | Tags: Margon, Marseillan, Pézenas, Sete, Thau | Permalink. 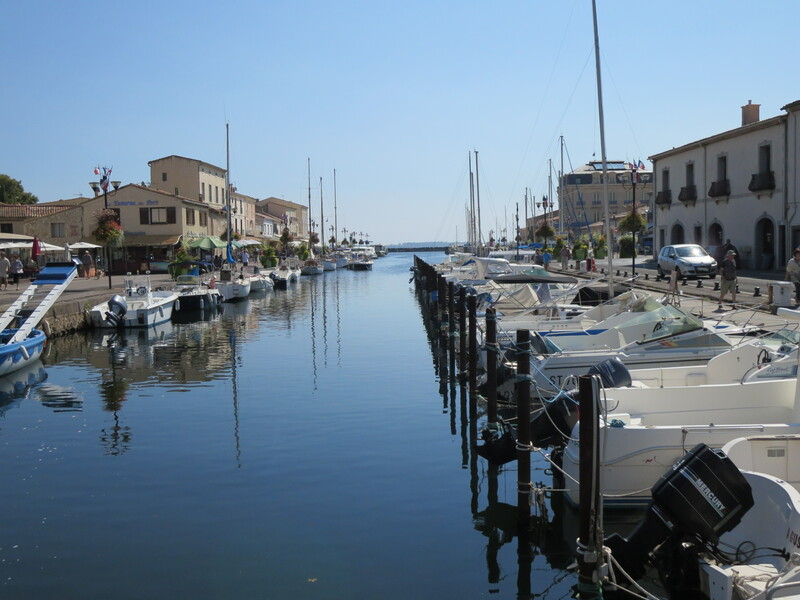 Categories: General | Tags: Languedoc, Margon | Permalink.